An ambitions sci-fi adult drama that refuses to wallow in menaces and threats from beyond. A serious consideration of the possibility of space travel at the dawn of the Space Age. Competent acting. Falls rather short of being considered a sci-fi film classic though. 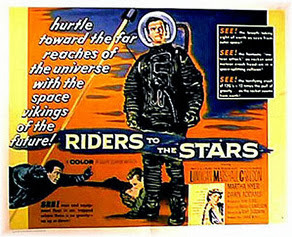 “Riders to the Stars” is an American science fiction film that was released in 1954 by Ivan Tors Productions and directed by Richard Carlson. It is the second episode in Ivan Tors' “Office of Scientific Investigation” (OSI) trilogy, coming after “The Magnetic Monster” and before “Gog”, both of which are featured in this blog. Dr. Donald Stanton and his colleagues are working on manned space travel. 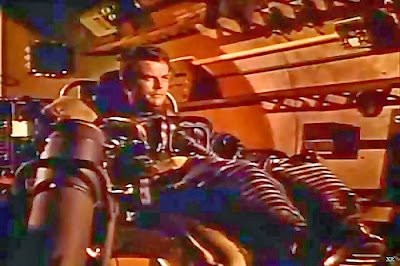 The seriousness of the enterprise is made apparent at the start of the film when we are informed that “man has met every challenge but one-the void of space” in which he will be met by “radiation and agonizing cold.” However, it also turns out that even the best quality steel turns brittle in outer space. It seems as if the steel’s molecular structure is rearranged by radiation or as Dr Jane Flynn suggests that the metal has weakened because of exposure to cosmic rays. She wonders how meteors can survive such conditions for millions of years. Since meteorites are not subject to the same problem, Stanton inspired by Jane puts together a project to recover some meteors before they enter the atmosphere in order to find out how their "outer shell" protects them so that they can build spacecraft that can withstand the rigors of space travel. This program will require sending astronauts into space for the first time and to this end twelve scientists are recruited and are required to undergo a series of tests. However, the men are kept in the dark as to the purpose of the project. The 12 men are taken by bus to Snake Mountain Proving grounds, operated by the Office for Scientist Investigation. They are then escorted to a holding room where over time they try to figure what is going on and what they are doing. Unknown to them, Dr Klinger the project psychologist is there among them to observe their behaviour in order to determine their suitability for the project. For instance, he recommends Fuller be cut from the program because of his claustrophobia. The next morning the candidates undergo the gravity test which is capable of producing 12 gee acceleration. While in the centrifuge the first two men achieve 9 gees before passing out. Drayden is concerned this will not be enough and from the remaining 6 candidates they have to find 4 that can pass. Dr Stanton is the next candidate to take the test. He achieves 12 gees and successfully manages to complete all the tasks given to him. Dr Donald Stanton calls a meeting of the four remaining men who made it through the test where he explains the purpose of the mission they are proposing and that “survival depends on being the first in space.” Dr Stanton then hands each man an envelope and asks them to take a week to consider if they are interested or not and then mail in their answer. Stanton, Lockwood, and Walter Gordon accept the dangerous assignment, while Wells quits in disgust (“here we go again boys, wars!”) since he hates the idea there could be military applications involved. Later on Dr Stanton shows the men a film of two mice launched into space, the effects of weightlessness on them and their successful return to Earth. He then informs them that the Mount Palomar observatory is tracking a suitable swarm of meteors which will be able to be intercepted in two weeks. The training of the three men begins as final assembly of the rockets is completed. Timing, precision and strict adherence to procedures is stressed, particularly with the operation of the meteor scoop which is to be used to capture the meteors for return to Earth. Finally, three one-man rockets are sent a couple of hundred miles up into space to intercept the meteor swarm. At first Gordon attempts to capture a meteor despite warnings from the ground that the target is too large. Gordon ignores them and attempts to capture the meteor. The rock impacts the ship and it is destroyed. Lockwood then suffers a mental breakdown when he sees Gordon's body hit his view screen and sail on past his ship. In terror he imagines that he’s back in WWII and tries to return to Earth. Thinking he is in a plane he tries release himself so he that he can bail out of the rocket. As he struggles to get out of his chair he accidentally fires his engines and hurtles away from the Earth. Stanton meanwhile has missed the main swarm, but a stray single meteor crosses his flight path. He then makes the decision to capture it (“like shooting fish in a barrel!”) contrary to the warnings from ground control that he will use up too much fuel and burn up upon re-entry. He moves in to intercept the rock and succeeds in capturing the meteor. Stanton then begins the process of returning to Earth. Since Stanton has used too many rockets capturing the meteor, he is going to re-enter the atmosphere a bit too fast. He will need to let the rocket get deeper into the atmosphere so that he can nose the ship and decelerate. Meanwhile, the heat inside the suit has become unbearable. All Stanton can do is to try and glide the rocket in. He eventually manages to crash land heavily. 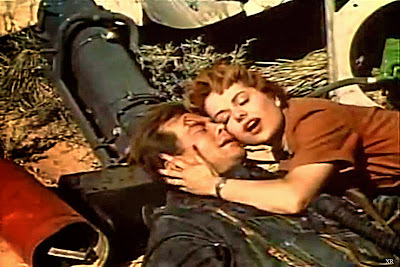 Stanton is pulled from the wreckage by emergency teams and he regains consciousness to be greeted with a kiss from Dr Flynn. His father, Dr Stanton inspects the recovered meteor and identifies its covering as being “crystallized carbon.” The secret to long term space travel has been discovered! The operation involving the meteor scoop to capture the meteors for return to Earth is far from being a far-fetched concept. Using robotic space vehicles, we have already rendezvoused with and landed on an asteroid. The exploitation of asteroids for resources such as iron, nickel, titanium, water, oxygen and hydrogen and even the moon for such elements as Helium-3, rare Earth minerals such as yttrium, lanthanum and samarium, as well as titanium and iron has been seriously proposed. In the film, Riders to the Stars, the Pentagon runs a computer program and comes up with 12 men out of 150 million who may be able to help with the mission. The information or computer data that is stored and obtained by the OSI is rather limited being based largely on types of occupation. Compare this to the identification and profiling that can be and is being done today based on masses of stored and shared data on individuals by agencies such as the NSA. The film is very much a product of the Cold War era with emphasis on security and secrecy. For instance, security agent OHerli visits Dr Richard Stanton, head of an electronics research department and informs him that he is” invited” by the government to go out and spend a week in California as if he is some kind of guest. The security officer states that he knows no more other than the details of the invitation. In fact, the tests and what the scientists are trying to achieve are conducted by keeping the astronauts in the program in the dark as to what is happening. 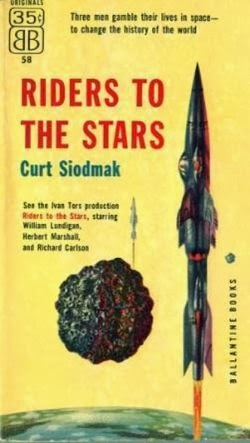 Of course there is the government directive to “find out if man can survive in space” and “if they can, ours must be the first.” In real life, as the former Soviet Union was preparing for manned space flight the level of secrecy was extreme. For instance, the identities of those who were selected as candidates for cosmonaut training were concealed, as was the fact that some of those undergoing training and testing had lost their lives in the process. In fact, the images of some of those unfortunate cosmonauts were airbrushed out of photos as if they had not existed. Even 60 years later, we often find ourselves denied vital information on the grounds of “national security” or no comment on matters of “operational matters” lest some “enemy” gets wind of what we’re up to. If and when we do embark on extended human missions into outer space or establish human bases on the moon and Mars, psychological suitability and the well-being of astronauts and mission specialists will be of vital importance. 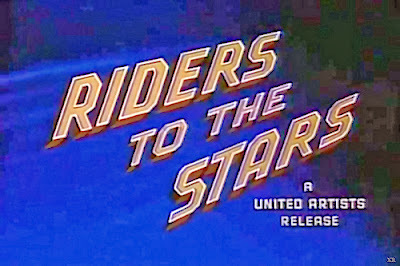 In the film, Riders to the Stars Dr Lockwood is called to Dr Stanton’s office to be questioned over the reasons for volunteering for the mission. In particular, he is questioned about his relationship with Susan, his desire to marry her and her refusal of his offer. There is obvious concern about his emotional state with Dr Delmar going so far as to wonder if thoughts of suicide have crossed Lockwood’s mind. Lockwood reassures his questioners about his desire to fly the rocket and that he may have still wanted to go on the mission even if Susan had accepted his proposal. 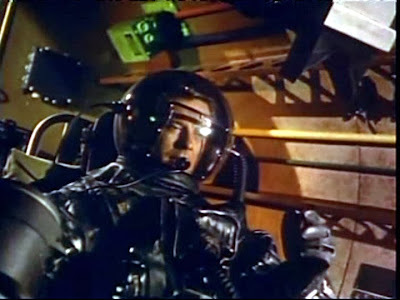 The psychological aspects of space travel is further highlighted in the tense dramatic scene involving Lockwood panicking and thinking “he’s back in the war” resulting in his rocket shooting out into space. Then there is the scene in which we witness Gordon snapping under pressure and careening around the cabin of his ship in a (for the time) convincing depiction of weightlessness. Either that or he suffered an overdose of caffeine and an exploding bladder from all the coffee the astronauts consumed just prior to their mission! 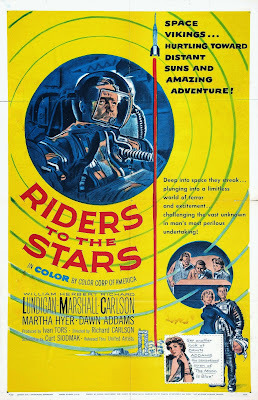 Richard Carlson directed and acted in Riders to the Stars. 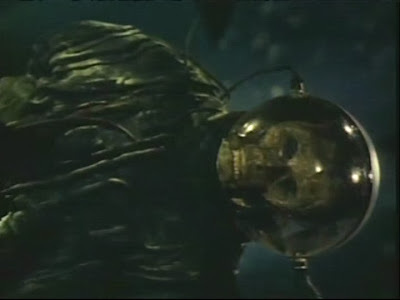 He also was an actor in the films, The Magnetic Monster (1953), It Came from Outer Space and Creature from the Black Lagoon (1954). 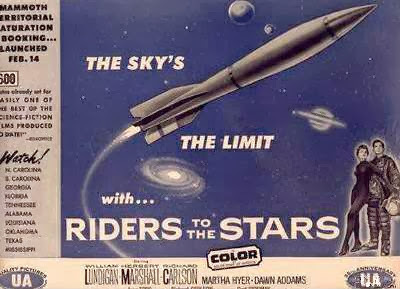 Richard Carlson, once described by the film’s editor, Herbert L. Strock as a "writer, producer, director, film editor - a brilliant guy," managed to put together a film with an almost documentary-like realism complete with shots of an actual centrifuge, real rocket launch footage and the use of scientific equipment in various scenes. 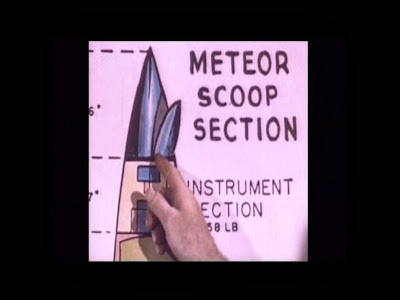 However, it is quite obvious that unconvincing model rockets were used for the meteor capture scenes. It is unfortunate, however, that a bit too much emphasis was placed on the technology and detailed discussions of scientific concepts at the expense of the drama and story itself. This was at least off-set with the astronauts’ dramatic and well-paced encounter with the anticipated meteor shower. 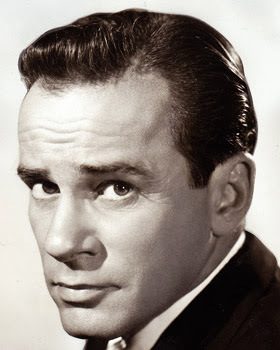 In the next post there will be a tribute to Richard Carlson. And of course there’s William Lundigan. I loved that pioneering series that he starred in called “Men Into Space” (1959-1960). 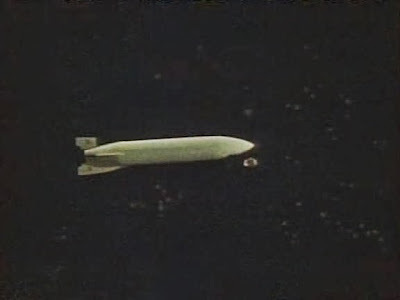 That series presented a very serious and often accurate depiction of what space travel would entail, with one episode even touching on the possibility of extra-terrestrial life. Lundigan played the sure and dependable Colonel McCauley and seemed born for the role of astronaut, not to mention just how many missions into space he managed to clock up! All sponsored by Lucky Strikes cigarettes!